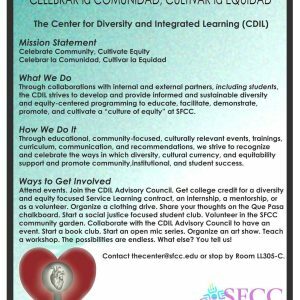 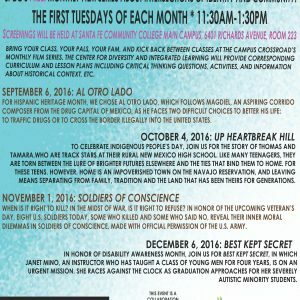 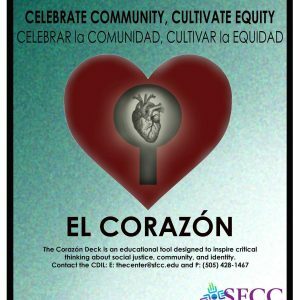 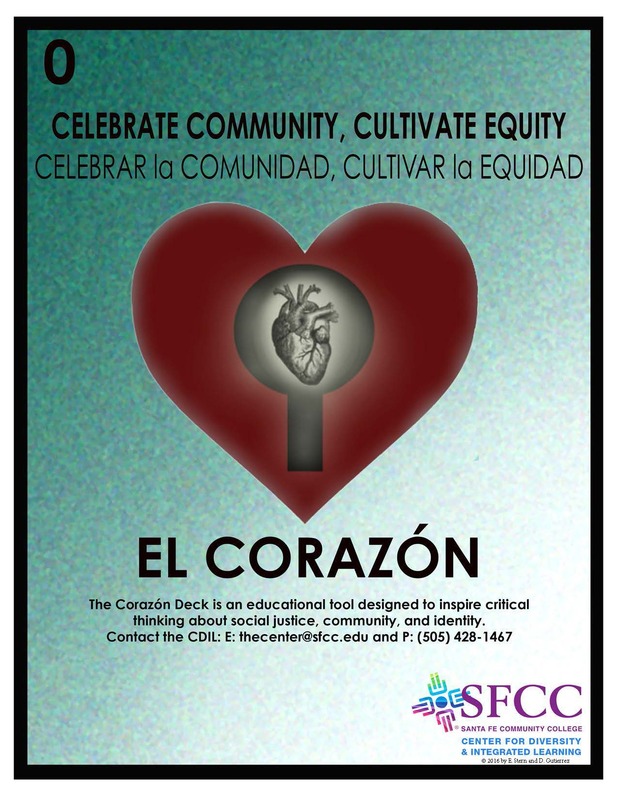 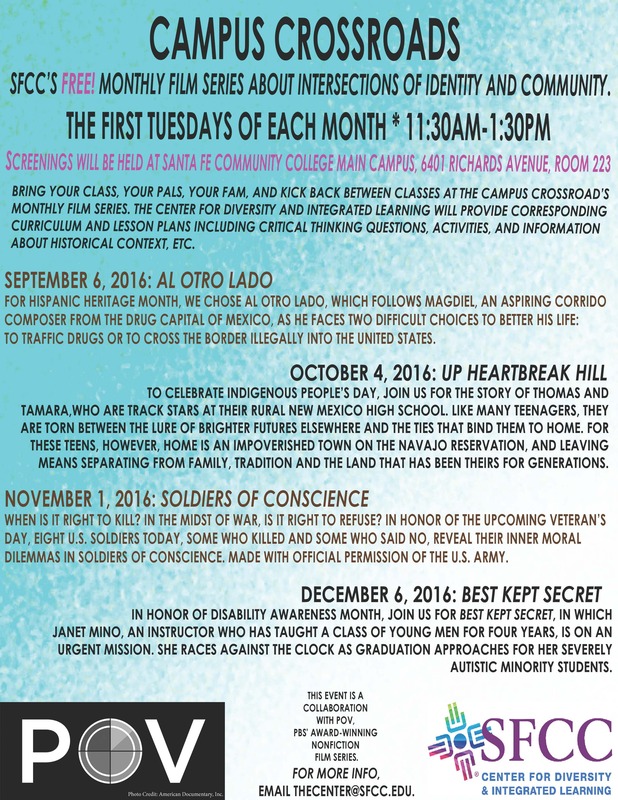 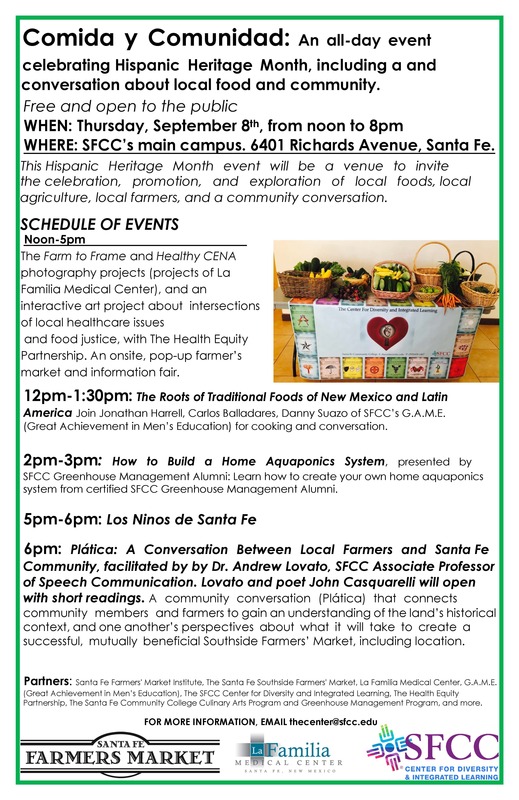 Santa Fe Community College will celebrate Hispanic Heritage Month from noon until 8 p.m. 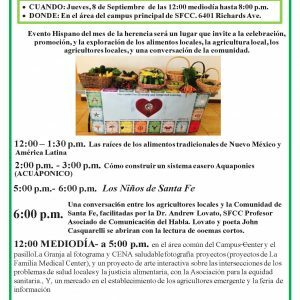 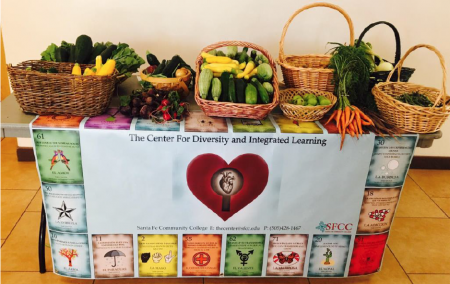 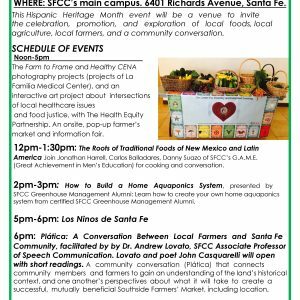 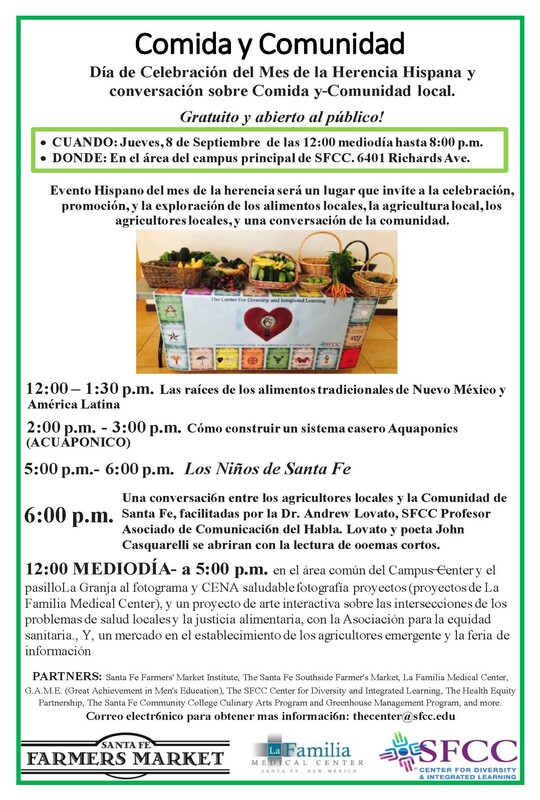 Thurs., Sept. 8 with Comida y Comunidad, an event with art, food, performance and a bilingual community conversation with regional farmers about local food and how to best serve Santa Fe’s Southside communities. 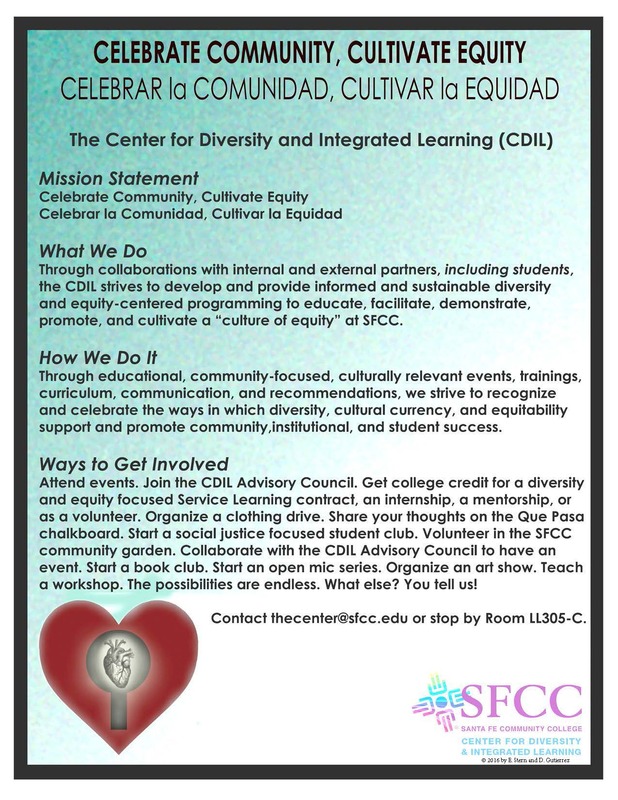 Activities are free and open to the public on the college’s campus, 6401 Richards Avenue.